Yes. That happened. Read more to see how the rest of the day went! The day started with breakfast at Sally Lunn’s, whose menu I’d been contemplating over for months before we even traveled over to the UK! With a building that’s one of the oldest in Bath (it dates back to 1482), and a background steeped in history (and food history at that! 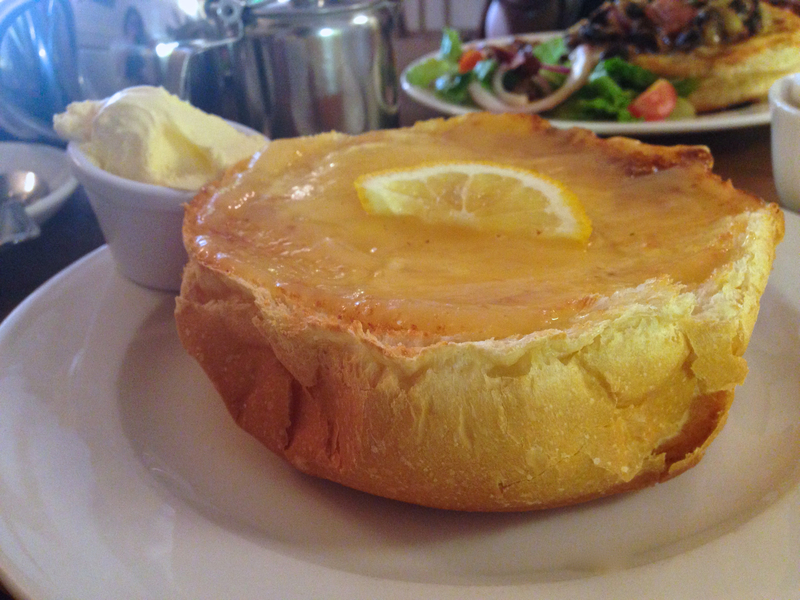 ), I absolutely couldn’t resist the lure of Sally Lunn’s… and I’m sure glad we came. 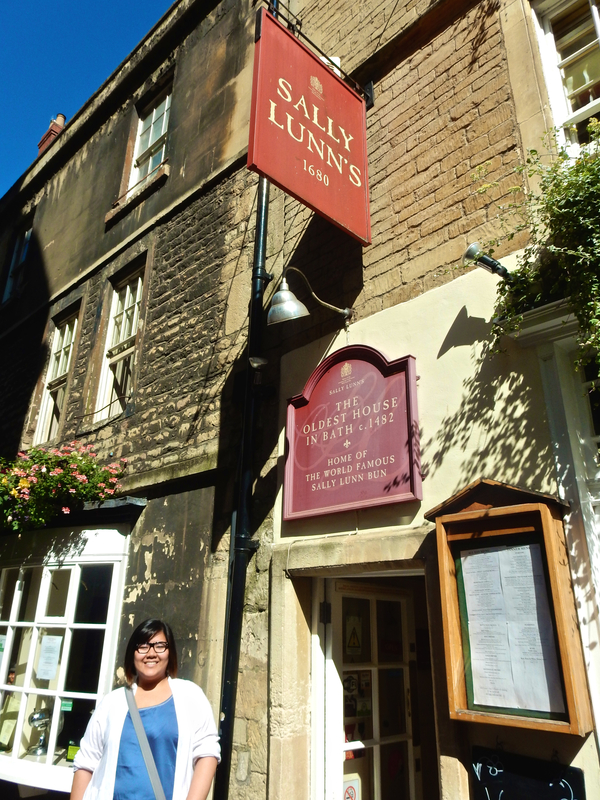 Supposedly, Sally Lunn was a young Huguenot in the late 17th Century who baked in that very building hundreds of years past, where she developed the original Bath bun. Not quite cake, not quite bread, the Sally Lunn bun is a brioche-esque, light, airy bun which they use for both savoury and sweet dishes. 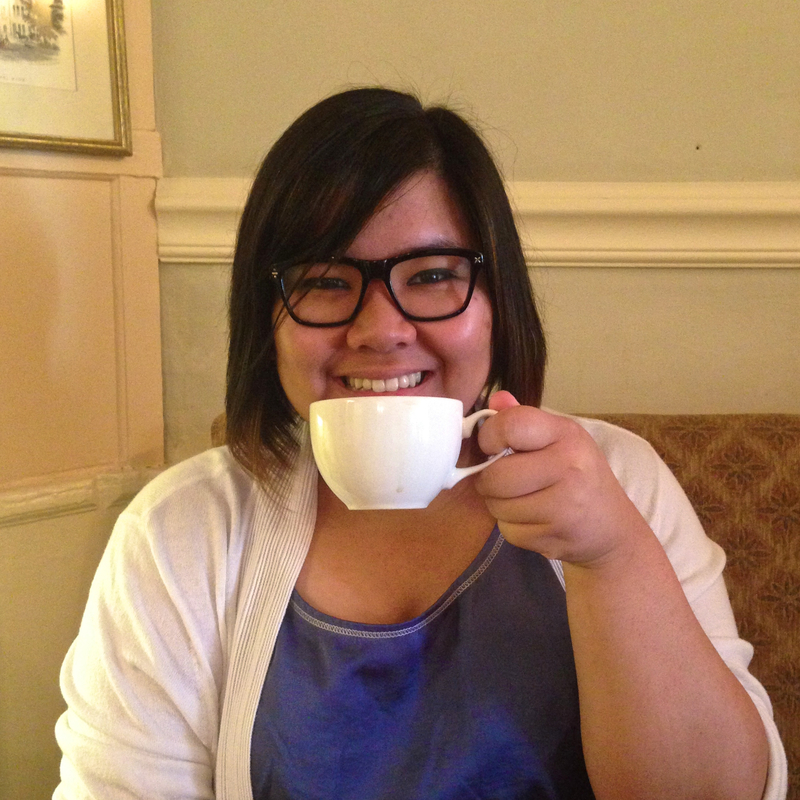 My meal – Queen Victoria’s Tea (half a Sally Lunn Bun smothered in lemon curd, served with clotted cream and a pot of tea) was just £7.08! It was generously portioned, and perfectly filling – it kept me going well into the afternoon! I know, I know, technically I was having afternoon cream tea for breakfast… but I regret nothing! It was so very very worth it. Sally Lunn’s also has a small museum in its basement, which is an absolute treat to visit. Aside from the fact that you can buy boxes of fresh Lunn buns to go from there, there’s also a significant amount of archaeology and history within – artifacts recovered from the site in centuries past, and, perhaps my favourite part of it all, an open dig where you can see just how deep the old floor level used to be! 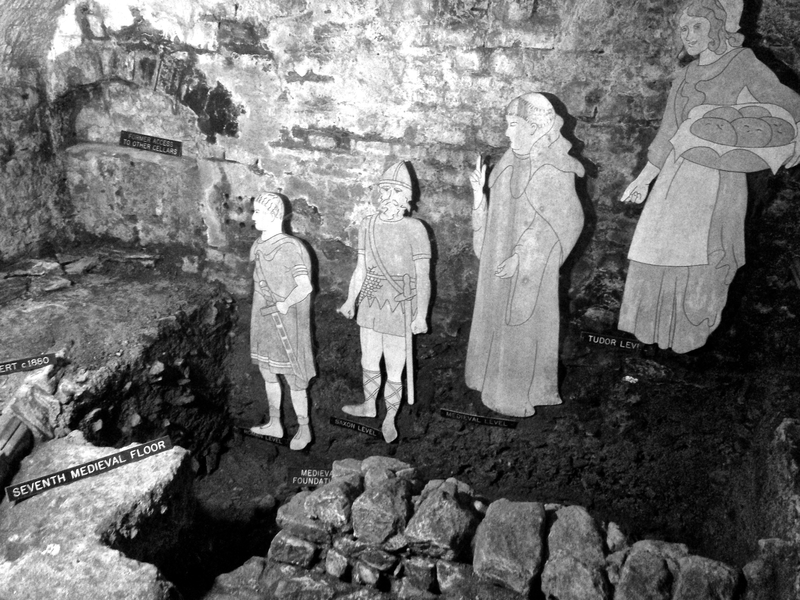 If you click on the black and white photo, you’ll see the captions next to each human figure, which shows the ground level at Roman, Saxon, Medieval, and Tudor times! Considering I was standing in a Georgian basement and the street level was several feet overhead, you can imagine how much lower the ground level used to be! In fact, as we would later discover, the Georgians really built Bath in such a way that everything was significantly elevated. Buildings that looked 3 stories high were more accurately 5 stories – two floors were “below ground.” That is to say, below the Georgian street level. At the outskirts of what was Georgian Bath’s walls, you can see this marked difference, where the ground level suddenly drops a good 15-20 feet! You’ll see more evidence of this later on in this post. 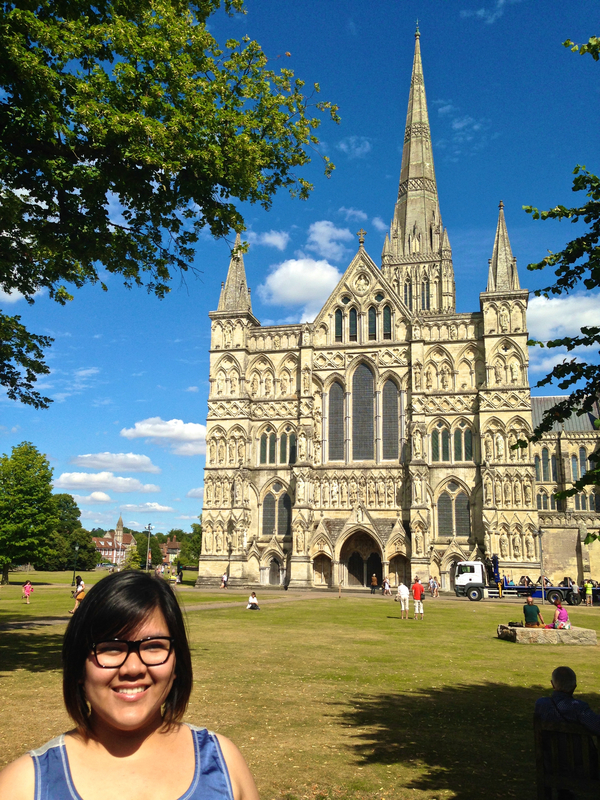 After our filling breakfast, we made our way to the rail station and hopped on a train to Salisbury. The settlement was originally north of where the city is today, on an old Iron Age hill fort now called Old Sarum (ruins still stand there today). By the early 13th Century, the settlement moved down into the proper valley where the current city now sits. 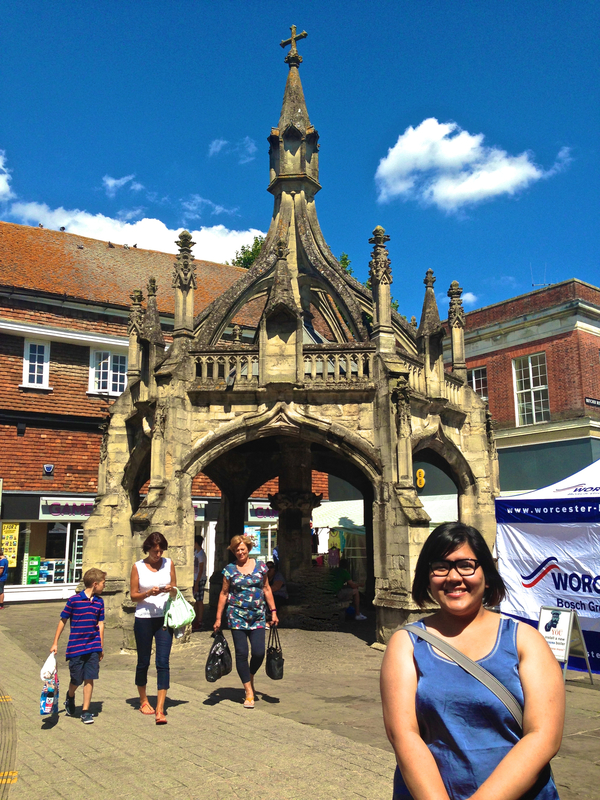 It was amazing to see how well preserved Salisbury’s history is, just in architecture alone. Whilst the city itself is certainly modernized and has no lack of modern conveniences, it was a treat to see centuries-old architecture amidst it all. Market Crosses such as the one I’m photographed with above, were traditionally built to show where the market square of a town was. While buildings now tower around surviving Medieval crosses, imagine these structures – whose tradition date back to the 7th century – surrounded by single-storey thatched roof, wattle-and-daub homes, and small wooden structures. Building these elaborate crosses with stone were not only expensive, they also towered over the homes and buildings around them at the time. Thus, you can see now how easy it would be to be standing on the other side of town and see the cross in the distance. 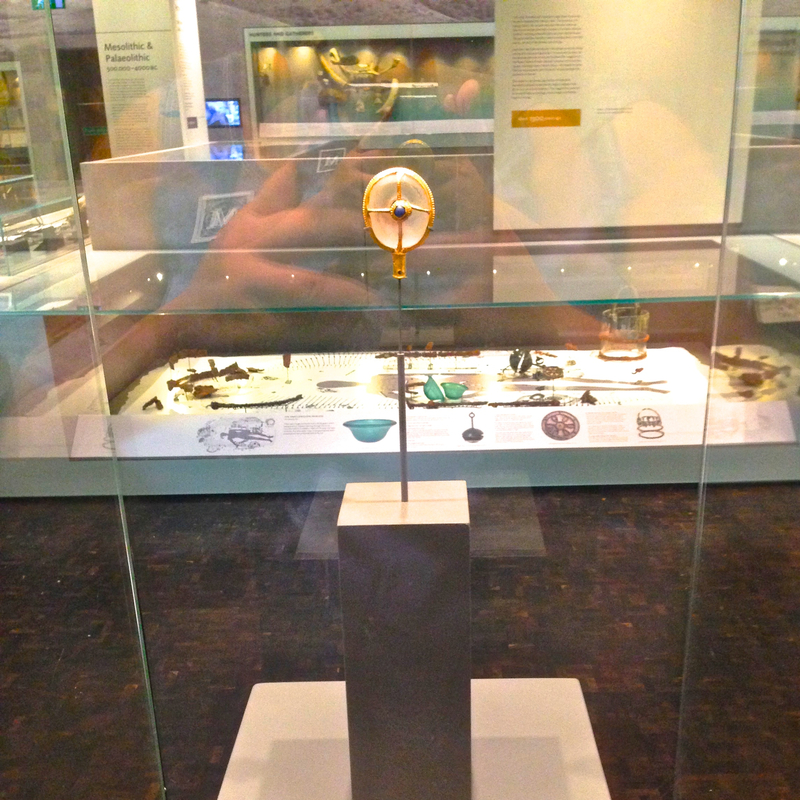 This drew people to the square, especially merchants and travellers with their wares. The cross I’m standing before is called the Poultry Cross for obvious reasons; poultry was sold around this square. 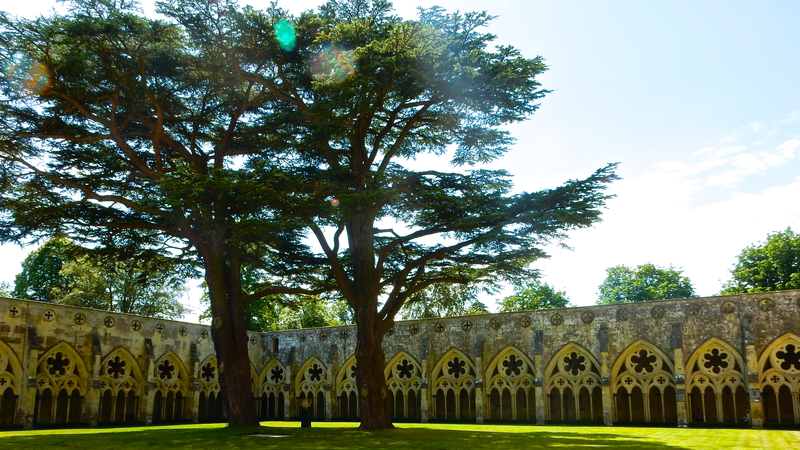 Three other crosses once existed in Salisbury – the Cheese Cross, Barnard’s Cross (for livestock), and a third for wool and yarn sales. 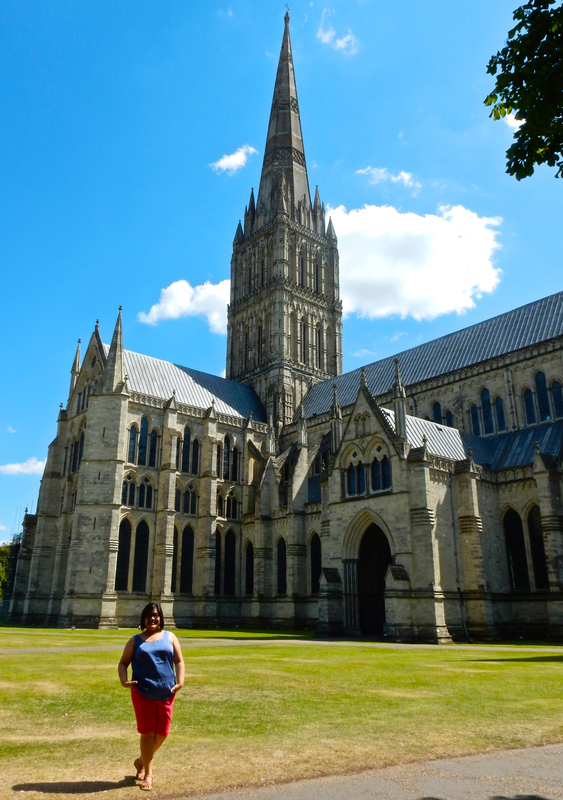 Bringing up wool sales is a fitting (albeit longwinded) segue to where we next walked – Salisbury Cathedral. Salisbury Cathedral – whose church spire is the tallest in the United Kingdom at 404 feet – was one of two Cathedrals that inspired Ken Follett’s fictional Kingsbridge Cathedral in his bestselling novel, The Pillars of the Earth (the second Cathedral was actually Wells Cathedral, which we’d visited the day before). In TPotE, Aliena of Shiring, one of the main characters, regains wealth and her name by becoming a wool merchant, selling her wares at a market square likely marked with a cross. 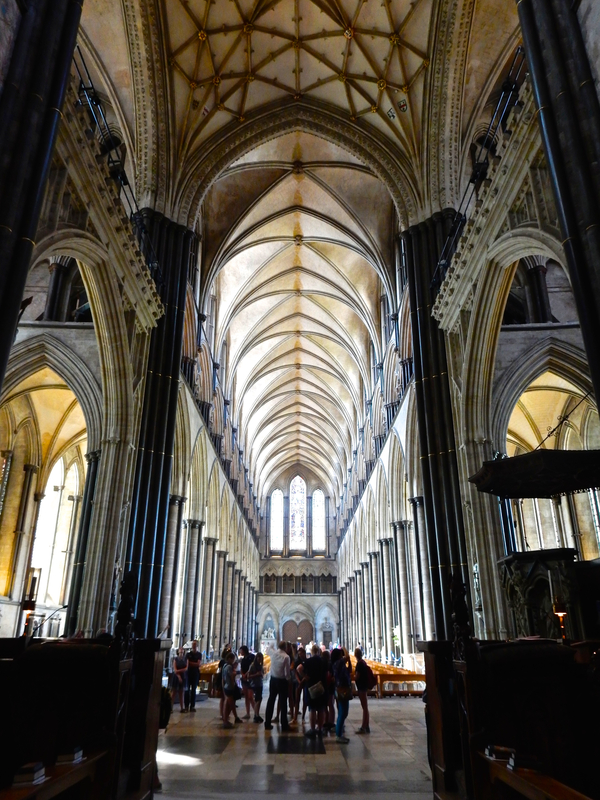 When the sestra and I approached the Cathedral, we were left dumbfounded. 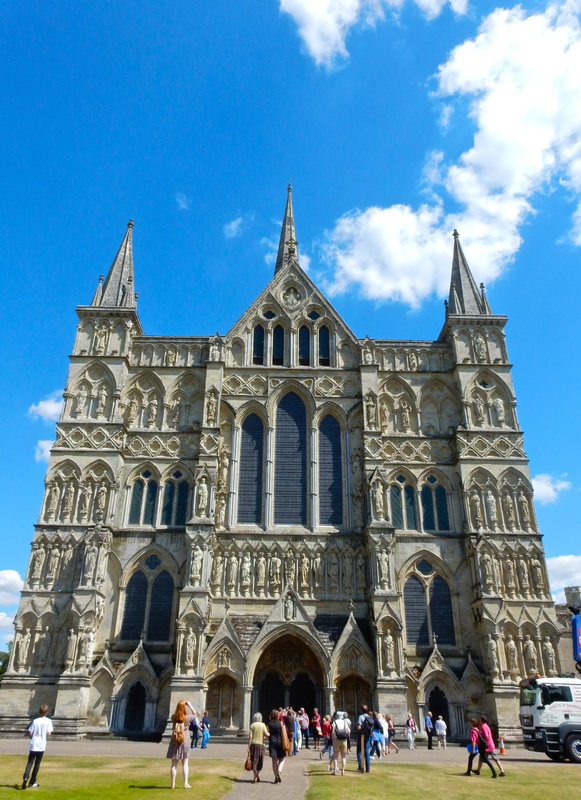 With the sky so vividly blue in the background, the cathedral looked like a painting in front of us. I had to keep blinking to make sense of its majesty. Once again – and this fact is a big part of TPotE – I can’t even fathom how they built things of such magnitude with such precision back in the day. 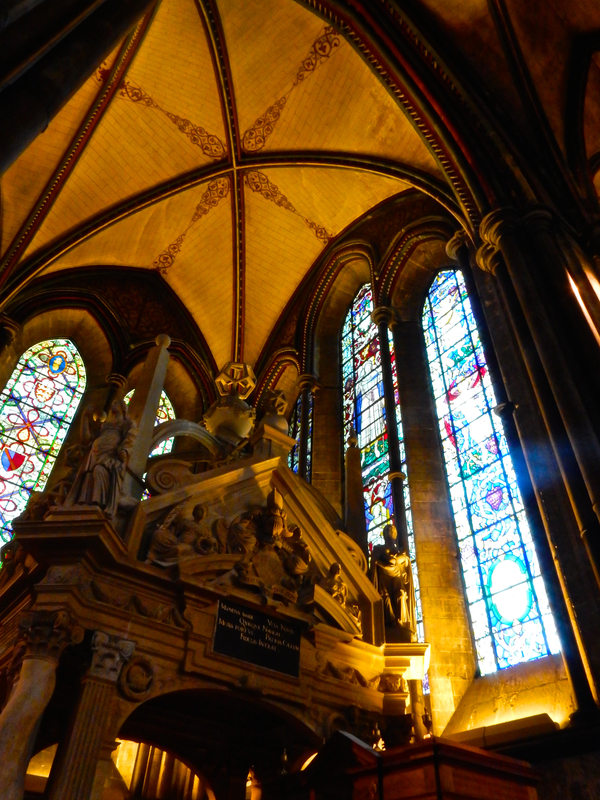 After spending a good chunk of time marvelling at it from the side, we proceeded to the West Front, then inside. 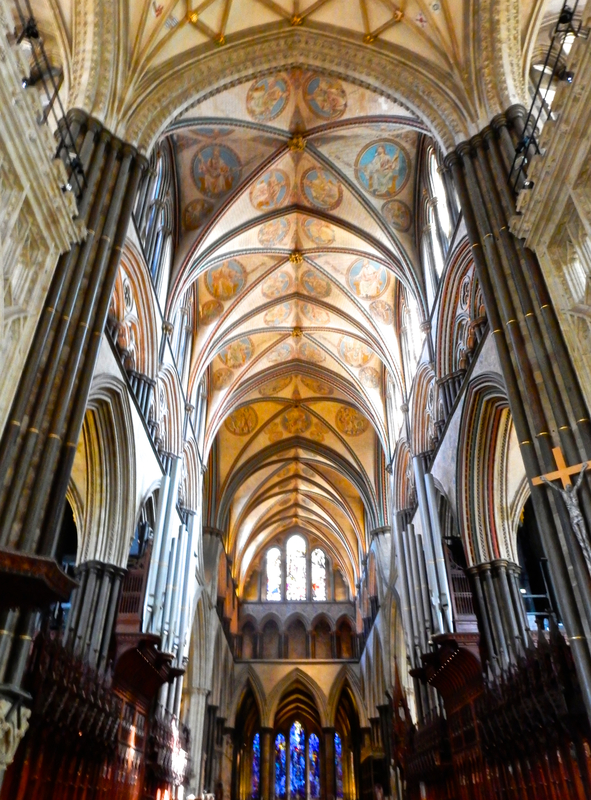 The display is tiered, with Christ in His Majesty at top, followed by angels, patriarchs and prophets of the Old Testament, apostles, doctors of the Church, virgins & martyrs, and many local bishops and figures with connections to Salisbury and the Cathedral. Such detailed work (some figures are holding such detailed items – from mitres to scrolls to instruments and even one figure holding a scale model of the Cathedral itself) was a wonder to behold. 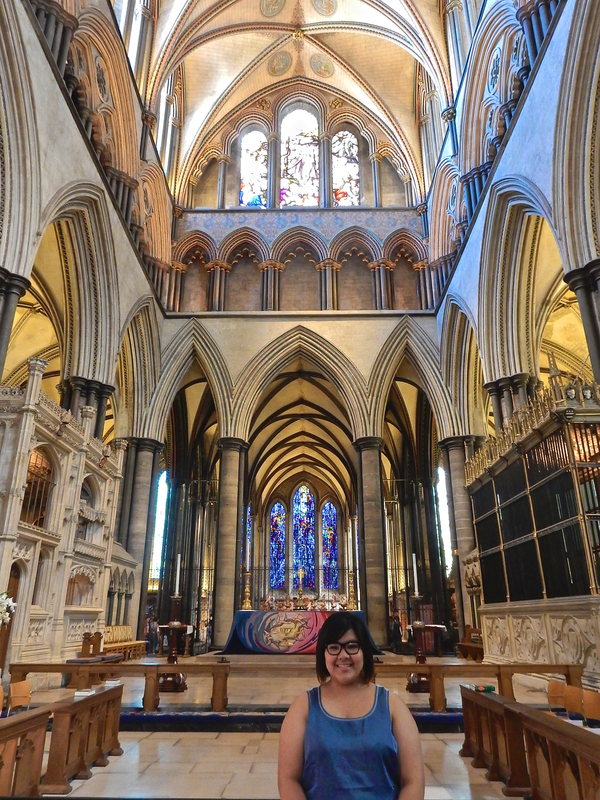 After visiting the Cathedral, we proceeded to the Cloisters, then the Chapter House, where the best preserved of the four remaining Magna Carta copies still remains (the others are at the British Library, which I’d seen on my London visit in 2008, and at Lincoln Cathedral). 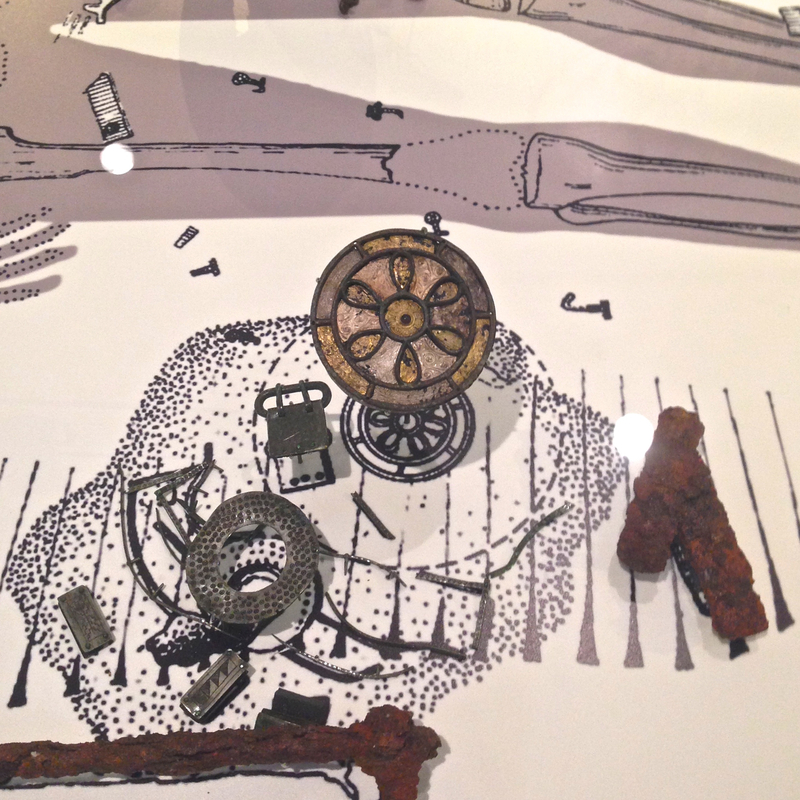 The Magna Carta (or Great Charter) was sealed in June of 1215 (close to 800 years ago), and while it may not have been completely put into practise over the course of medieval history, the symbolism behind it and what it represents today (that every man – including the reigning king or queen – is bound by the law and not above it) is monumental. Unsurprisingly, we were not allowed to take photos inside the Chapter House, especially not of the Magna Carta, so you’ll have to take my word for it that I indeed saw it, but it’s amazing to have placed my hand over a thin pane of glass separating me from a charter written by lords and sealed by the King of England centuries ago. I still get goosebumps at the thought. 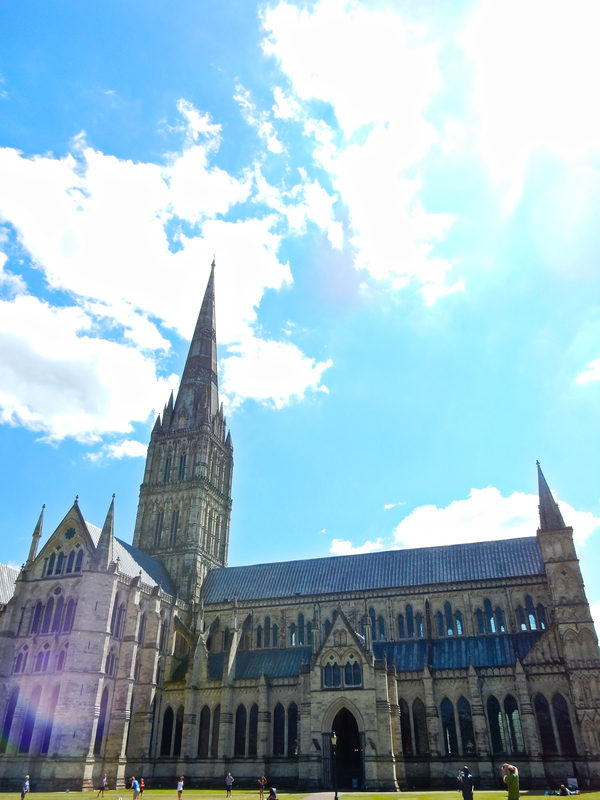 On our walk back from the museum, we managed this shot of the Cathedral in all its glory. Shame that darned truck (a construction truck… it wasn’t going anywhere anytime soon) is in the shot too, but oh well. It’s gorgeous all the same. We took our sweet time on the walk back to the rail station, and after a snooze on the train, brief respite and quick meal, we were off on our next adventure of the day. When we met up with Stewart (Frances’ husband and the lovely captain of our Boom Trike) in front of the Theatre, I absolutely couldn’t stop giggling. Seeing the trike in person (here, I’ll give you a few seconds to scroll back up and stare at it. Did you go? Are you good? Okay.) was so surreal, and sitting in it and getting buckled in was even MORESO. I was thoroughly impressed from the start with Stewart – he had a bright smile and put us both at ease. 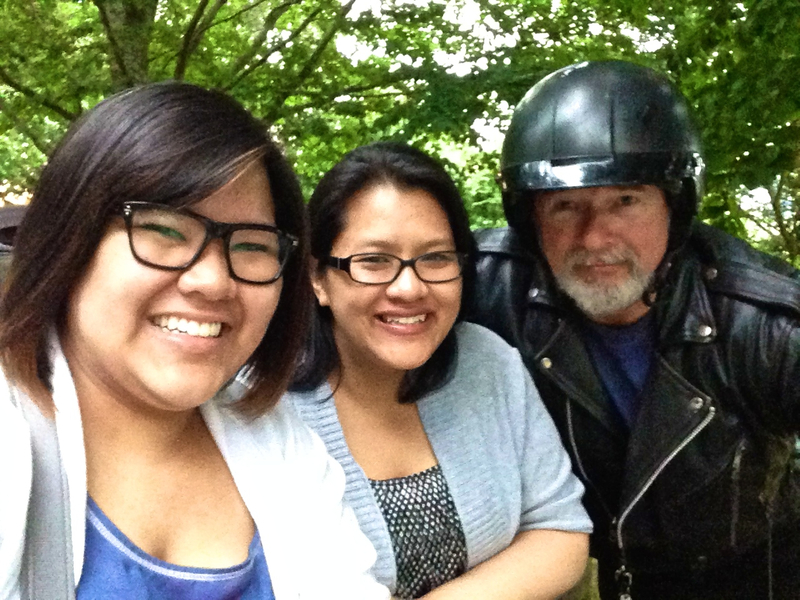 One thing that struck me was that I had only mentioned where we were from and my sister’s name once to Frances via email, but when we approached Stewart he immediately greeted us both by name and started chatting with us about Canada and our visit! This may seem minor, but these little details of professionalism and preparedness absolutely impressed me as a client. After a brief chat, Stewart discovered that the sestra and I had already explored the main sights (The Circus, The Crescent, etc.) 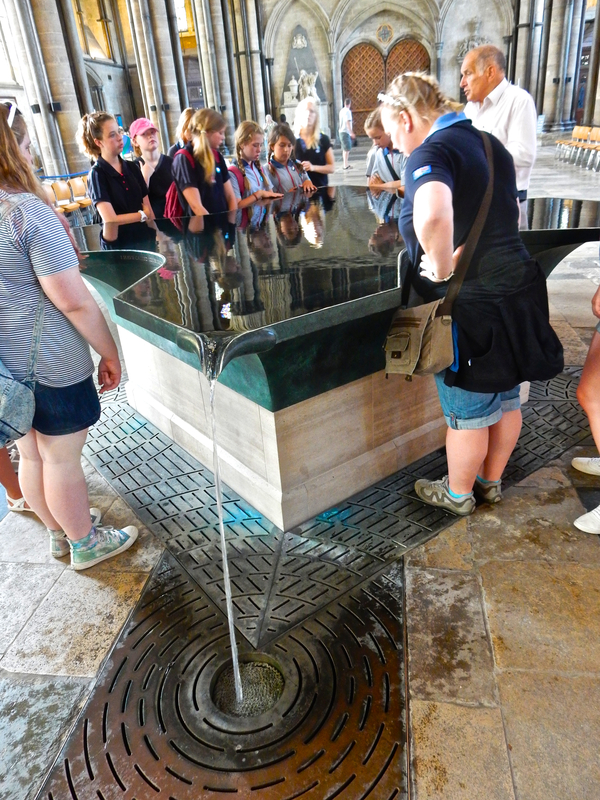 of Bath on our own by foot, so right on the fly, he decided to augment our tour and take us elsewhere! 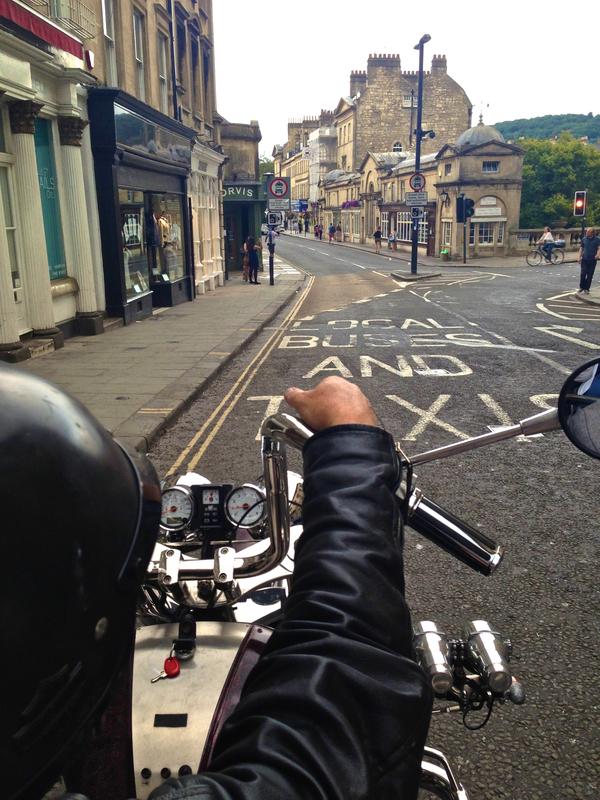 He navigated the city for a few minutes (click to see a brief Instagram video of it), pointing out some fantastic historical features such as the origins of street names, the bollards throughout Bath which actually mark the perimeter of the old city, and architecture. It was Stewart that had explained the history behind Georgian construction (with apartments that look 3 storeys high that are actually 5), and took us to the edge of a few that faced a cricket field, showing us the sudden 20 foot (or so) drop where the proper ground level was! With the speed that Stewart was going at through the city, it was perfect as we could hear him explaining things to us as he continued to drive! We also took stops here and there as he pointed several things out to us, which gave me a brand new appreciation for Bath’s stonework (and the preservation of it). 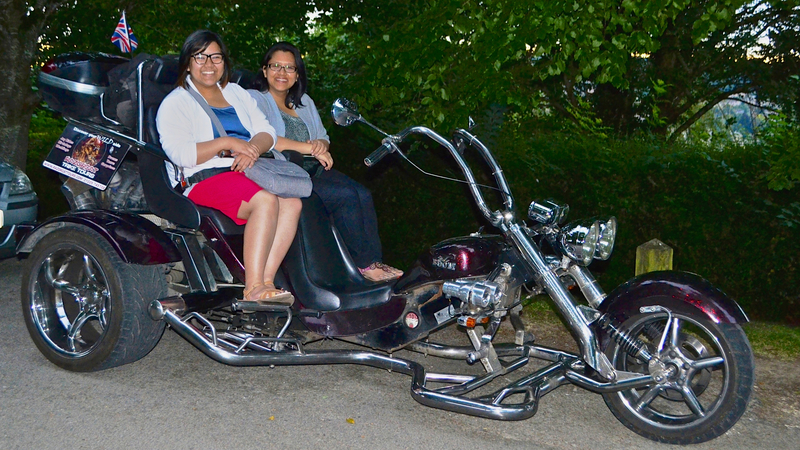 It was amusing to see people stop in the street and stare at us on the trike. While a few looked stunned (fair enough – it’s not that common a sight! ), most others (including a sweet elderly man from the 2nd floor window of his flat) waved at us. One Italian couple even asked if they could take our photo! From here, we drove out of the city proper and up, up, up, where Stewart took us to beautiful Alexandra Park. Here, he revealed a beautiful vista that looks out over the city itself. In the early evening light, it took my breath away. From there, Stewart drove us further afield, speeding up ever so slightly. I’ve got to tell you, feeling the wind in my hair and putting my hands up as we zipped along was one of the most exhilarating feelings ever! When we pulled to a stop, I once again couldn’t believe my eyes. Going on a tour with Stewart was amazing because not only did you have him to yourself as a guide, but being on the trike (as opposed to a coach, for example) brought you that much closer to nature… not to mention the epic thrill factor that comes with it, too. From here, Stewart triple-checked that we were strapped in, and I put my phone away for safety. He instructed us that he was going to zip us back to Bath, driving faster than he ever did for the first 70 minutes of the tour. We were going 60 miles an hour (if I’m not mistaken), and by the end of it, I most definitely had 3 bugs splattered against my glasses, but that was the most amazing ride of my life. I never once felt unsafe with Stewart at the helm – he kept us secure, comfortable, and always checked on us throughout the entire trip! 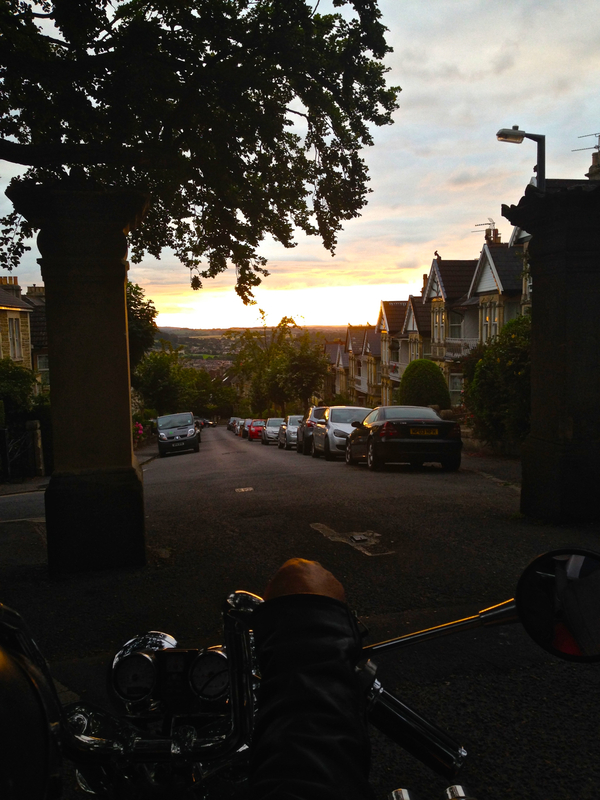 Razorcat Tours was an awesome way to spend our final evening in Bath – it’s such a unique experience in itself, to sit on a Harley-esque trike, but to have someone as kind, funny, informative, and, well – pardon the language – badass as Stewart taking you around made it worth every dime (or is it pence? Shilling? Bueller?). I really did have a smile on my face the entire time, and I felt like a little kid, giddy beyond belief. When we return to the Somerset region of England, I’ll be sure to connect with Frances and Stewart again. They have several itineraries available, from as short as a 20 minute trike taster (you’ll not want to get off the trike — I demand that you book an hour with them at least) to longer tours that are about half a day long! 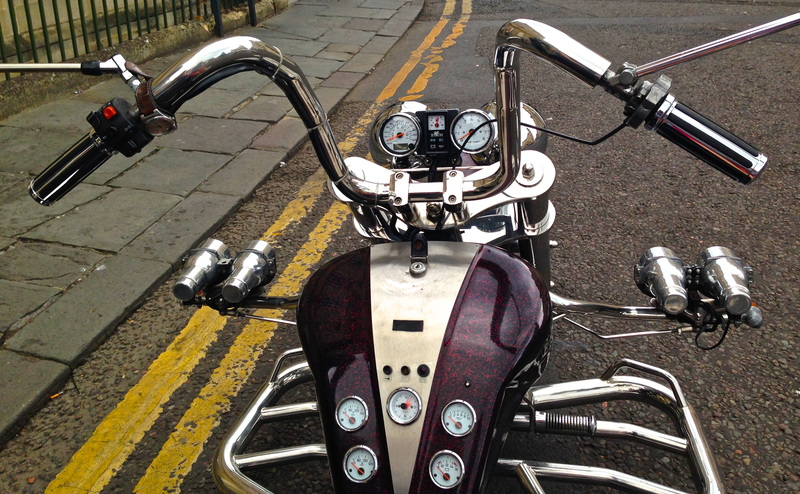 Imagine zipping out to Stonehenge with Stewart on the trike, or going through the Cotswolds! They do bespoke tours as well, following an itinerary you plan with Frances. 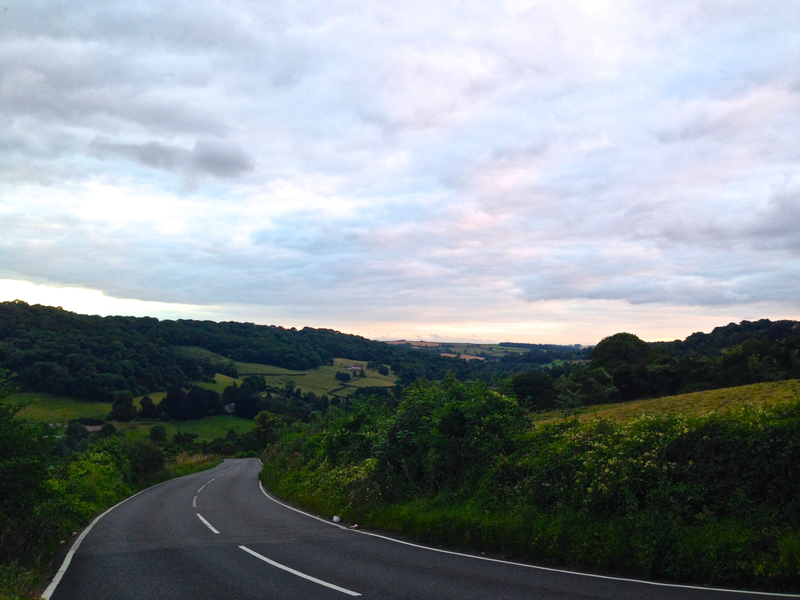 Since I haven’t yet gone through the Cotswolds, I’d be keen to do their Castle Combe or Lacock tour on my next visit. Thank you again, Frances and Stewart! You brought our Bath trip to a close tremendously. Just when you think this post is going to end, however, it isn’t! 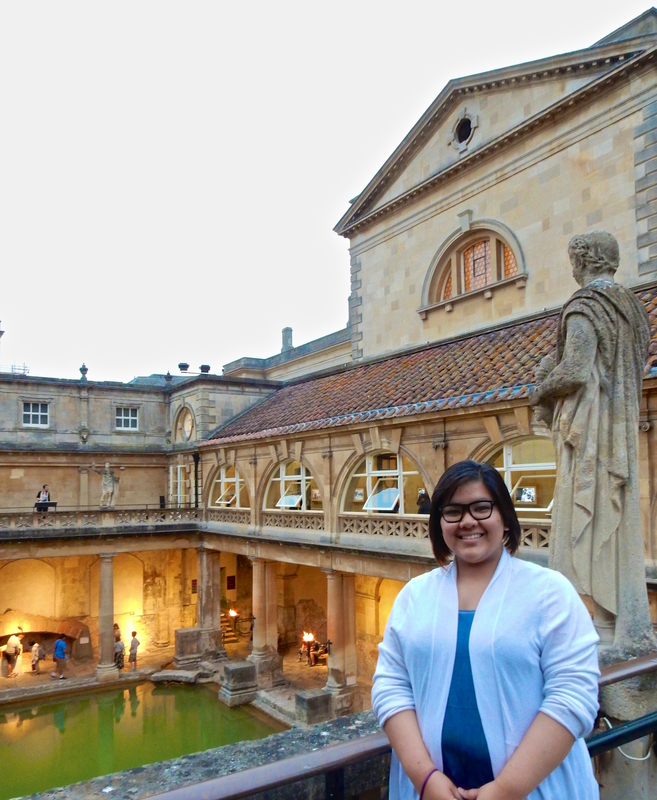 Upon our return to Bath, Stewart ever so kindly dropped us off right in front of the Roman Baths! 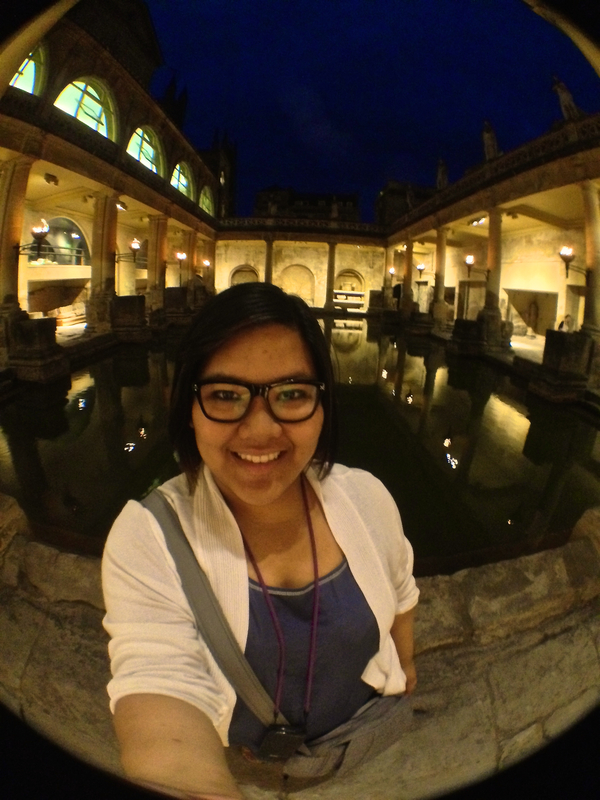 In the summer, the Baths are open until 10pm (last entrance at 9pm)… and we got there at 8:55! We’d purchased our tickets as a part of a duo with the Fashion Museum, which we’d visited on Day 1. 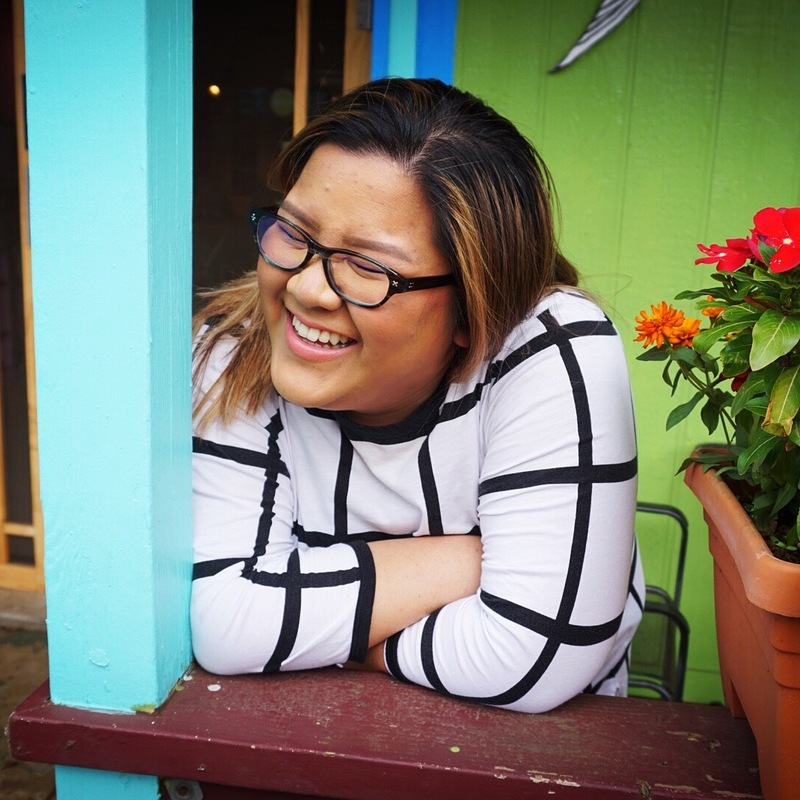 By getting the combo ticket, you save money (as opposed to going to both individually), and you have up to seven days to visit, which means you don’t necessarily have to cram both visits into one day if you have other plans! At Rick Steves’ recommendation, we chose to go to the Baths in the evening because the crowds are practically non-existent, and because the entire space is dramatically lit by gas lanterns, bringing an altogether otherworldly effect to the entire space. When you first enter the building of the baths (a Georgian construction), you’re seemingly at ground level, but as you can see with this photo, the baths themselves are below modern ground level! It looks like I’m the second floor (or first floor, if you’re British), and in some ways, I suppose I am! This ties together with my earlier Sally Lunn photo as well as Stewart’s explanation of the ground level rising (especially at Georgian times). 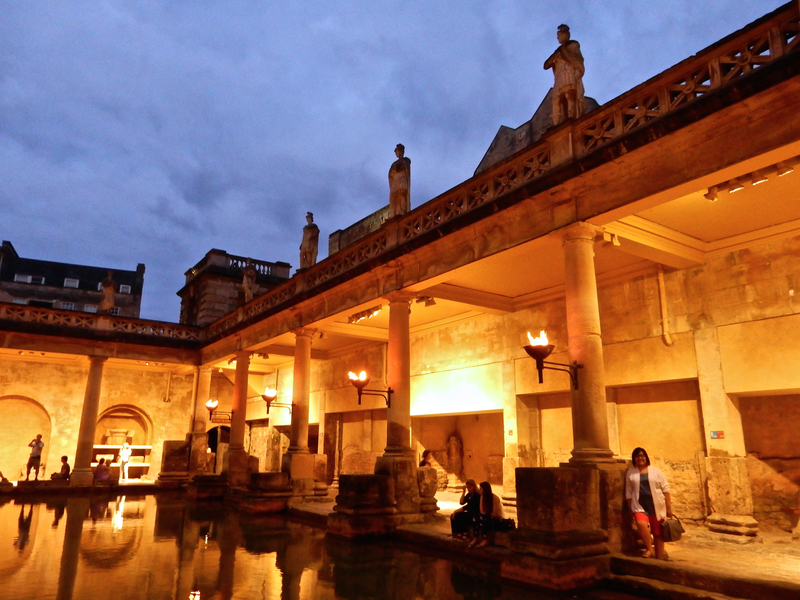 The baths date back to Roman times, where the city of Bath was named Aquae Sulis (“the waters of Sulis”) due to the natural hot springs they found here. 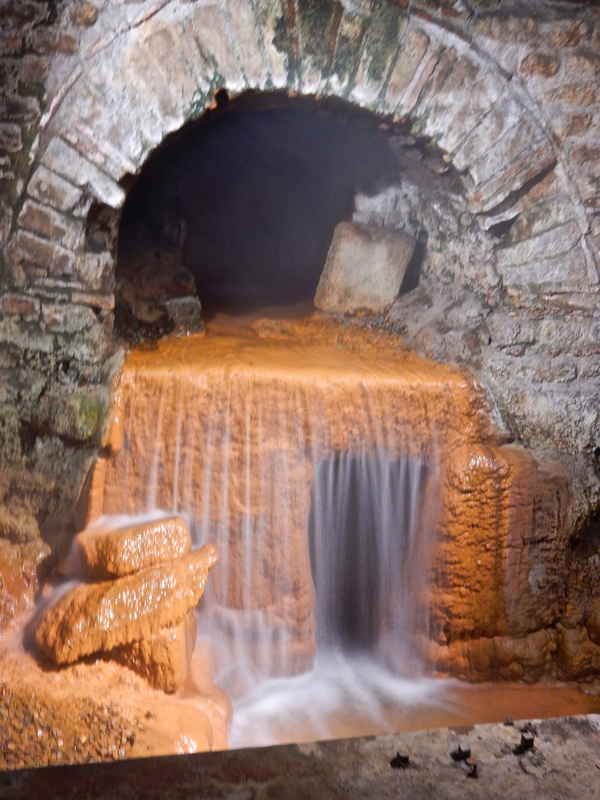 In fact, the modern name Bath is thanks to its Anglo-Saxon name from a few centuries later, Baðum, which means “at the baths” (referring to these thermal springs). As it turns out, when the Romans withdrew from Britain, the baths fell into disuse and were silted over and flooded, thus lost for many years. The current buildings housing the Baths are from the 18th Century, designed by John Wood, the Elder, and his son John Wood, the Younger (the same men who designed much of the Circus and the Royal Crescent). The dramatic architecture befits the time, when visiting Bath was entirely en vogue because it’s what royals and aristocrats did. 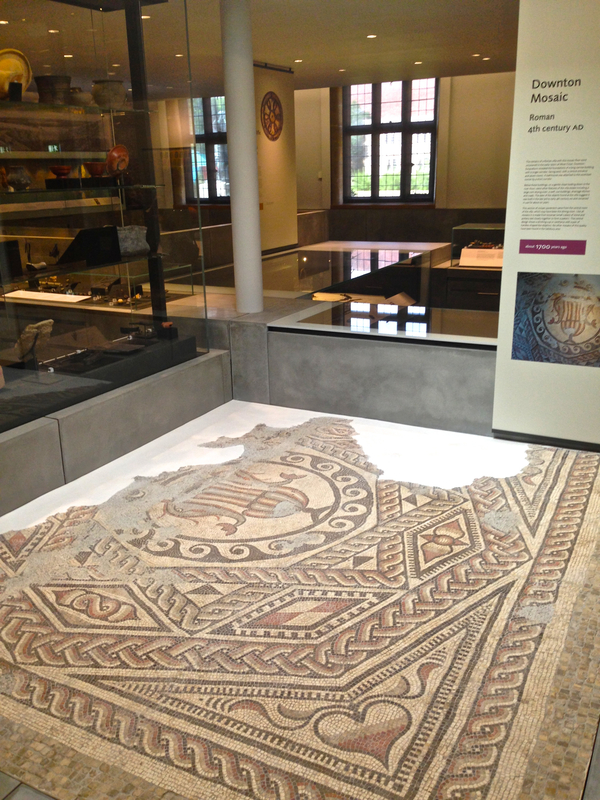 After circling and viewing the main bath from above, you enter a series of rooms which serves as the baths’ museum. 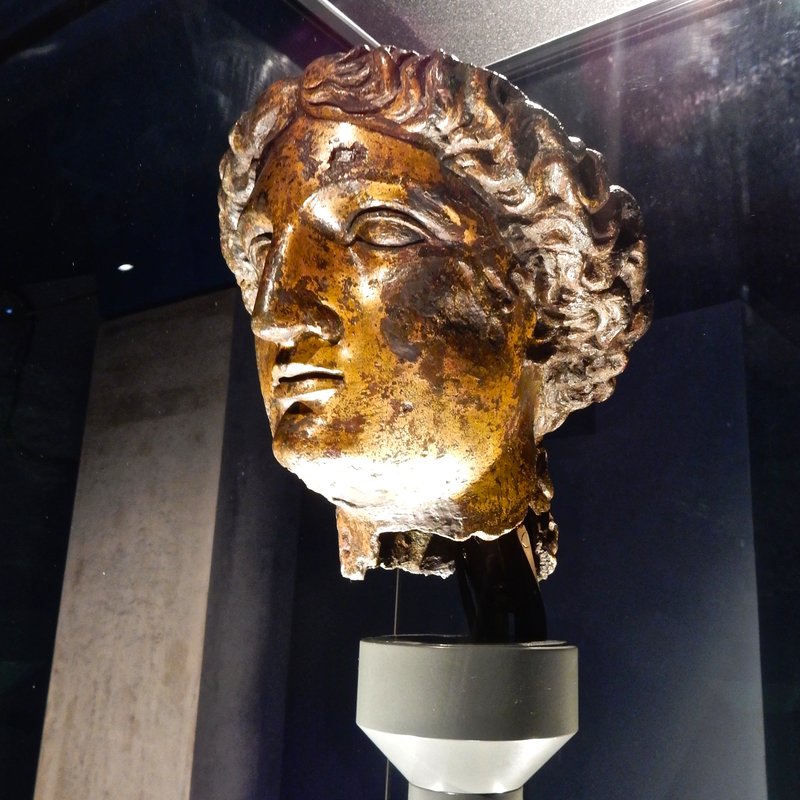 Here, several artefacts are on display, many of which were found on site or not far from it, such as this gilt bronze head of Sulis Minerva recovered in 1727 after well over a millennia. 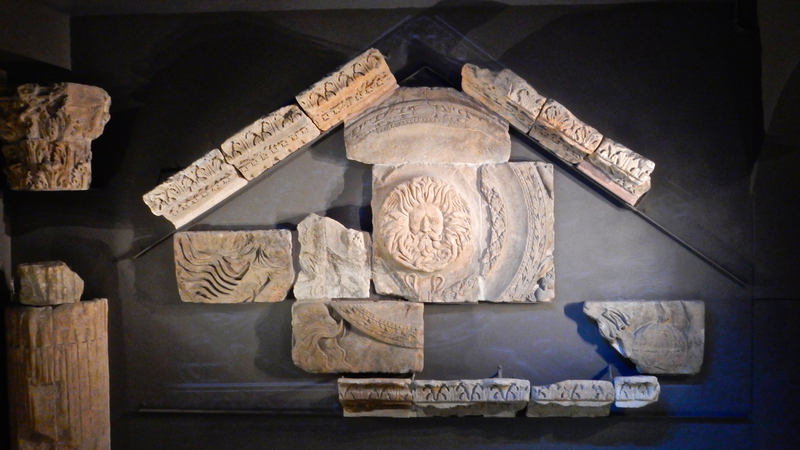 It was very cool to see so much of the old baths and temple reconstructed; as you walk through the museum, you’ll note that they did their utmost to build around stone ruins in situ, as well as provide you with imagery to help you imagine what the space once looked like. By the time we got downstairs and out to where the baths are, the sky had darkened significantly, which made the experience all the more haunting. Every time I closed my eyes, I imagined people from thousands of years ago, bathing here, gossiping, talking politics. Then I imagined Georgians walking amidst this, being so very posh and in by being seen at such an establishment. The space was quiet and there was only a handful of other guests inside. I can’t even imagine how I could have gotten any photos during the day – everything would be crawling with crowds! (Thanks, Rick Steves, for the protip). After one final selfie, the sestra and I wandered through the quiet, cobbled streets, and back to our hotel for our final sleep in Bath. After packing up our things, it really wasn’t difficult to crash after that incredibly long day! Our little room at the hotel was modern and incredibly comfy, and I’d definitely stay there again! The single thing I’d have to point out as questionable was that in-room wifi was £14.99 a day. A day. That’s $30 a day for internet. Uh… no thanks? I wasn’t that miffed considering I got a UK sim card with plenty of data on it, but still. That amounts to highway robbery, Hilton. No bueno. To bed we went then, with another action-packed day scheduled for Wednesday! 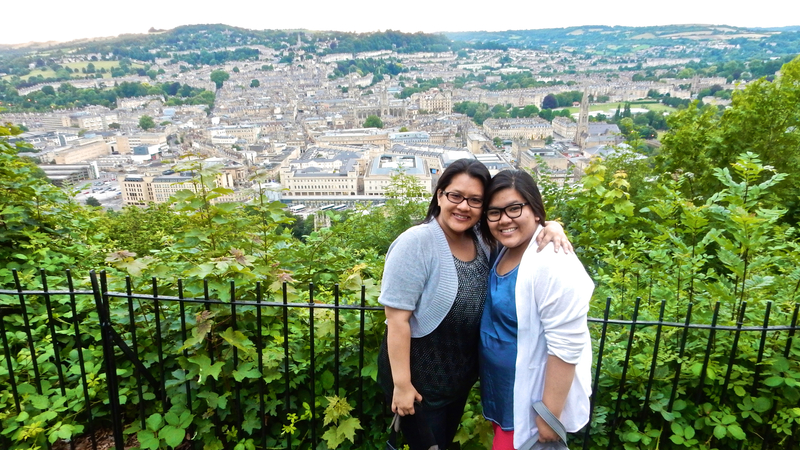 From Bath, we’re off to Oxford next! Stay tuned, folks — thanks again for reading, and I hope you come back for more!